As the seasons begin to change, many of us are looking to keep the carefree summer feels going all year long. 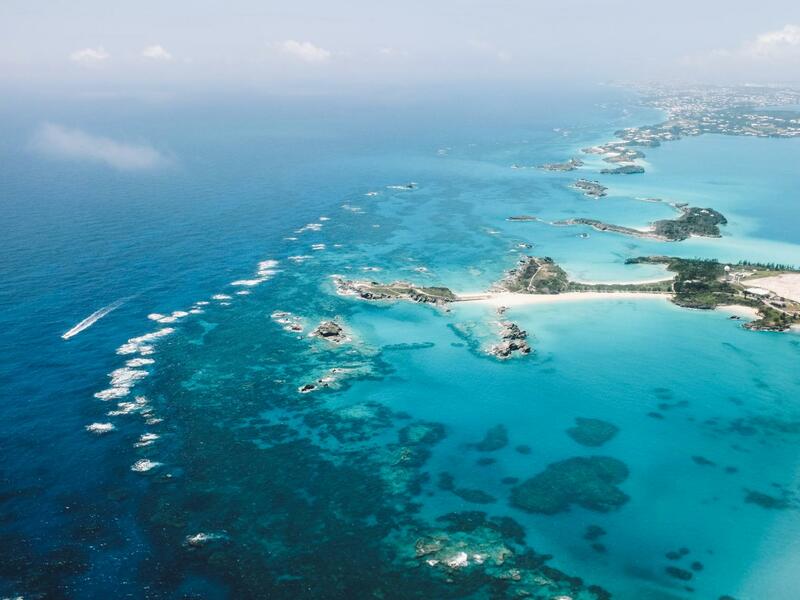 Enter the 400-year-old archipelago of British island territory, Bermuda. Whether you’re about that yacht life, or simply love a really good Dark n’ Stormy® , this convenient getaway is an easy one to add to your travel cart. Once you’ve booked it and headed to the isles, we’ve got plenty for you to eat, drink, see and do. 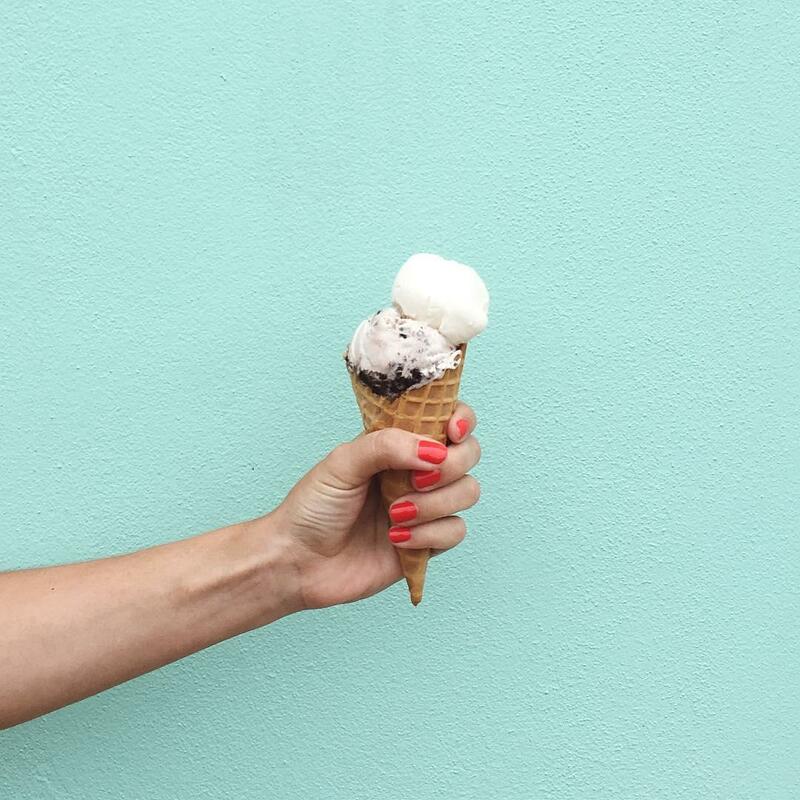 So, come along as we explore the best of the pastel-clad streets of Bermuda. 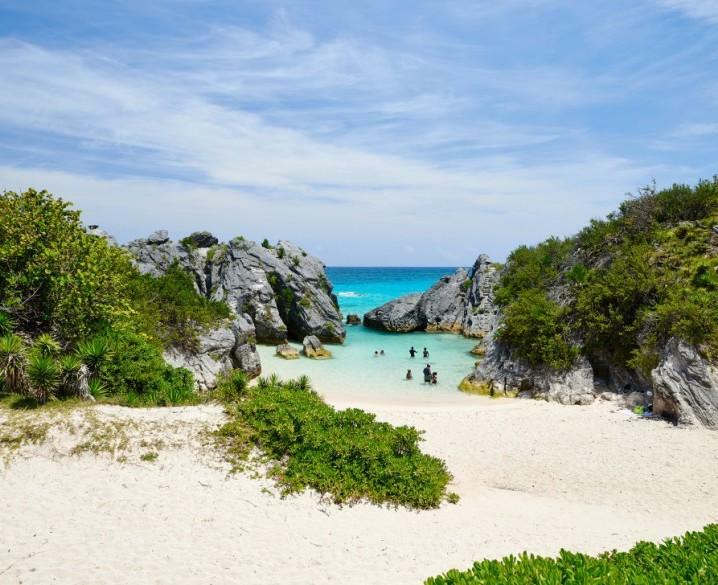 The 12-acre nature reserve at Cooper’s Island offers trails where you can wander through ancient Bermuda trees and gaze at beautiful seabirds, giant land crabs and a long list of local wildlife. Don’t forget to pack a lunch if you go, as you’ll have plenty of opportunities to spread a picnic blanket and enjoy the scenery. 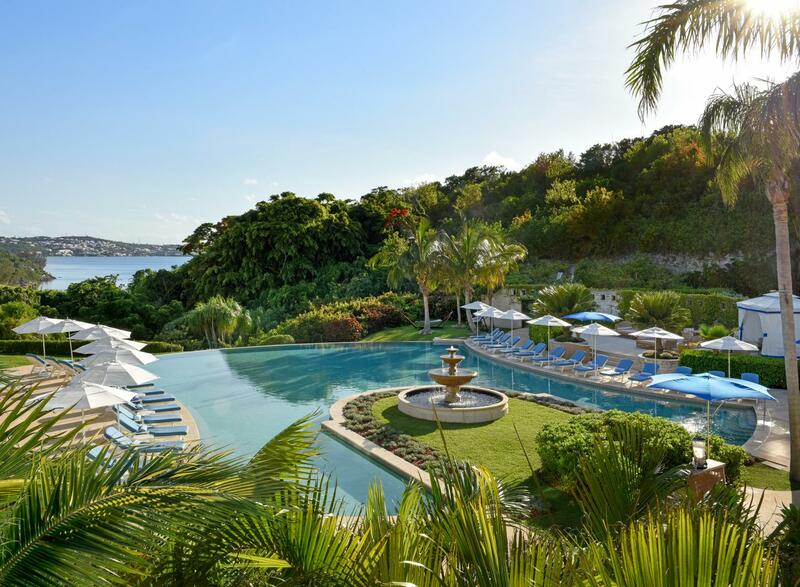 The lush, botanical gardens and crystalline reflection pool at The Sense Spa make this setting one of Bermuda’s best spa options. 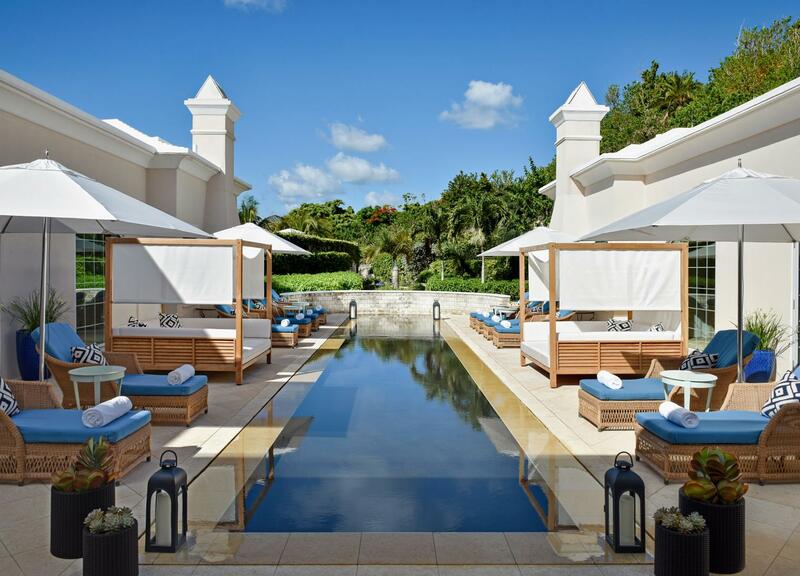 Book in for an all-inclusive spa day with a full-body honey and cane sugar exfoliation and 80-minute papaya massage followed by lunch at the pool and a luxurious mani pedi. Hidden in a tucked away corner of Chancery Lane in Hamilton, Yours Truly is the kind of low-lit, moody little speakeasy you’re always hoping to stumble upon. 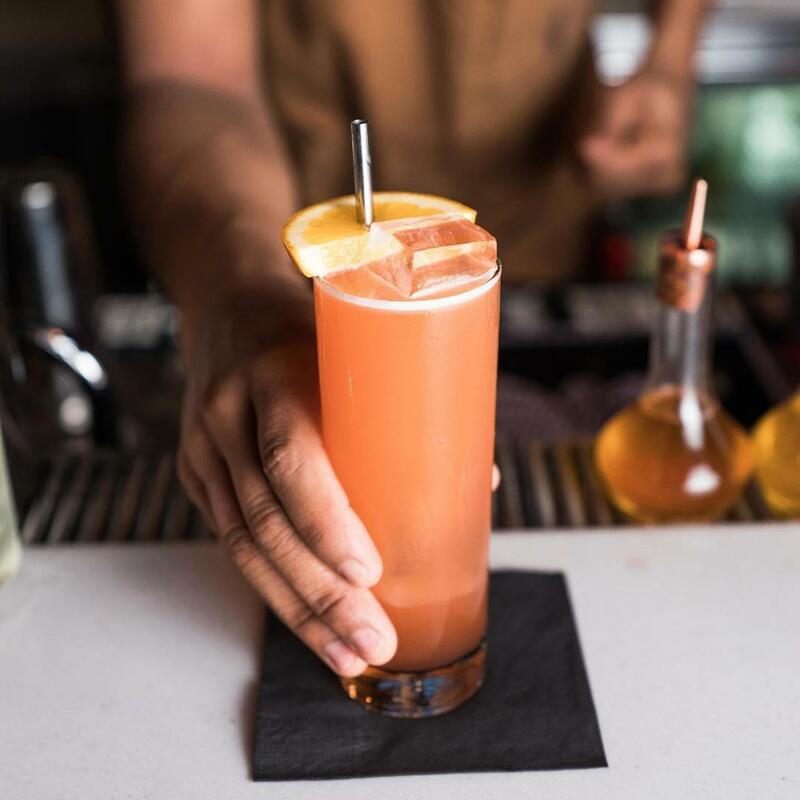 Roll up to the bar and ask for a bartender’s choice, and you’ll cue a whole concoction of boozy infusions, fresh berries, house made bitters, or whatever you’re in the mood for. 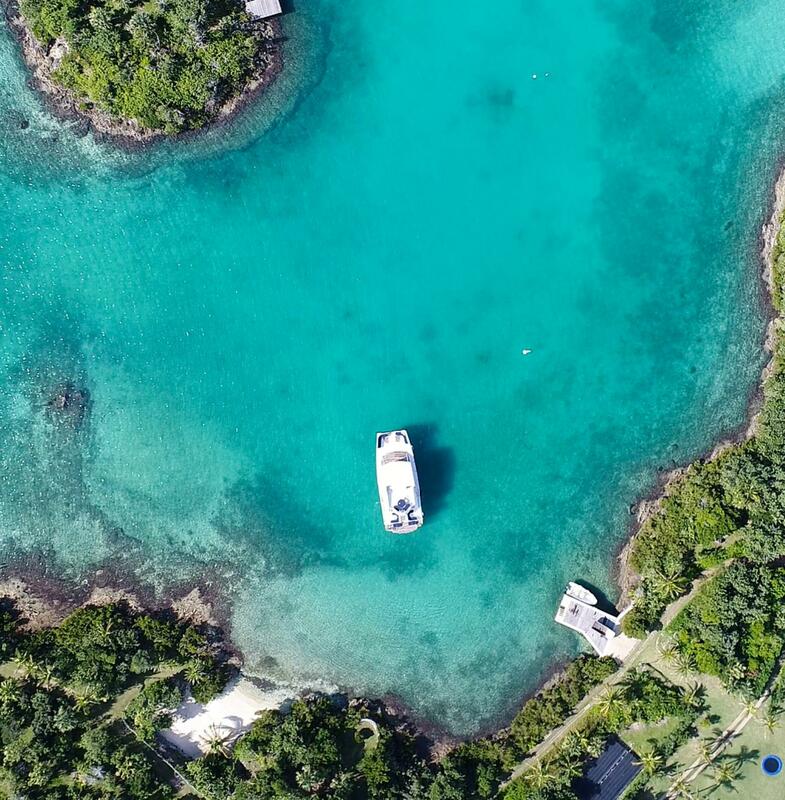 The warm, calm and protected waters of Jobson’s Cove make it the perfect beach to go for a swim with little ones or to spot tropical fish exploring the crystal-clear waters. Surrounded by towering limestone cliffs, this calm beach offers a cozy setting for a picnic too. Head to the Hamilton Princess’ restaurant for sweeping views of the scenery from inside a glass-walled space or out on the sunny deck. Dine on local specialties like the off the dock tartare, lobster tacos with coconut ceviche or the buttermilk fried yard bird. Rum Raisin, Bermuda Banana, Cookie Monster or Fresh Ginger. Why choose one flavor when you can have all of the above ice creams in their creamiest, most delicious homemade glory at Bailey’s Bay. Oh wait, but there are milkshakes too. One of each, please. 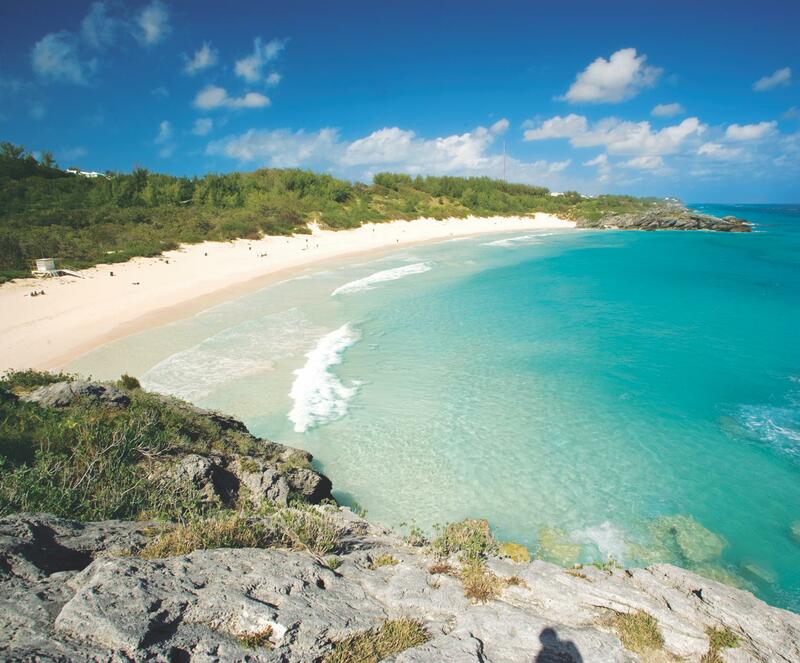 Hidden caves, turquoise waters and coral hued sands make Horseshoe Bay Beach one of the best spots on Bermuda’s south shore. Between the body surfing, snorkeling and spots to grab a Rum Swizzle, it’s easy to make a full day out of visiting this glorious beach. 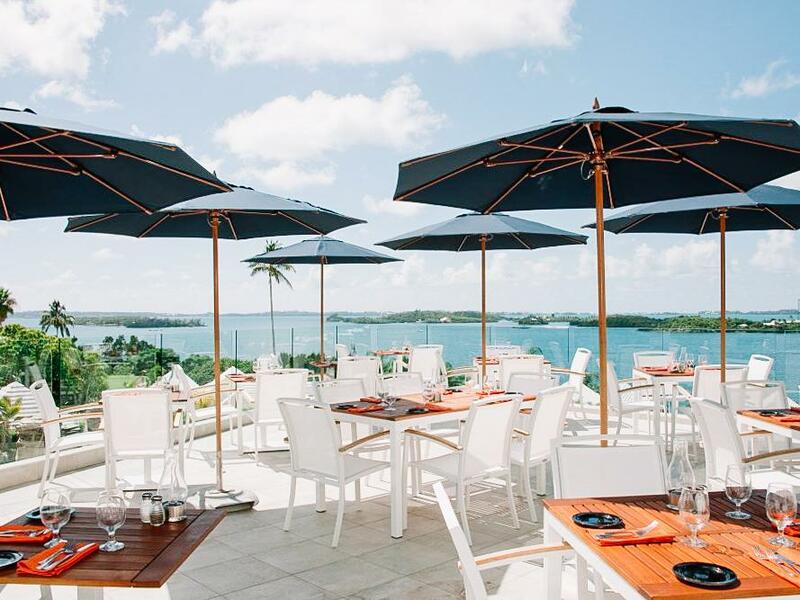 ​Set right along the pink-sand beaches of Southampton, Aqua Terra Restaurant combines indoor and outdoor dining while making you feel like royalty on the fanciest of ships. On the menu you’ll find indulgent eats like a duck prosciutto salad with foie gras, and a beef bourguignon that’s been cooked for 36 hours, mixed in with lighter bites too. Live your best life by chartering this private yacht and throwing the party of your dreams. You can fit as many as 150 people on board, so go ahead and cast a wide net with your invite list. 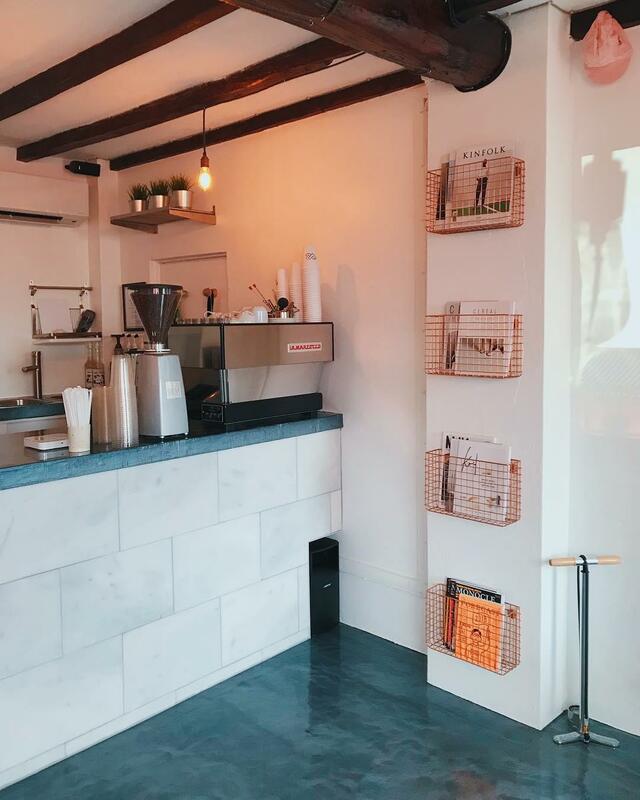 ​A refreshing local coffee hub and cyclists’ hangout, Victoire offers craft coffee for the Bermuda yacht setters. Located just near Penno’s Wharf, these new-on-the-scene coffee pushers are happy to deliver iced mochas and pastries for your whole yacht crew straight to your dock. Just keep your eyes peeled for their delivery bike! 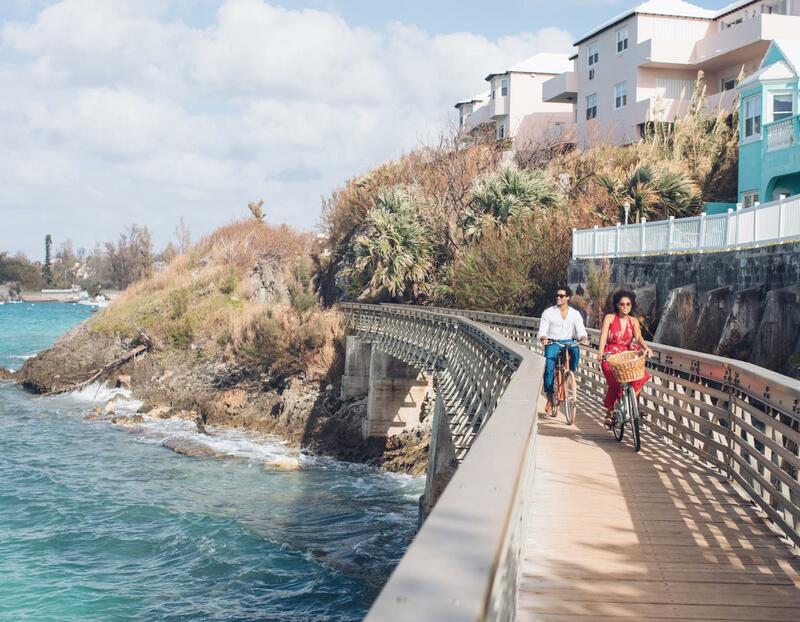 Fancy a Bermudian bike ride during your trip? Head to the 18-mile stretch of the old Bermuda Railway track for a ride that traverses through the varied terrain of this beautiful island. Along the way you’ll find fragrant trees and endless photo ops. 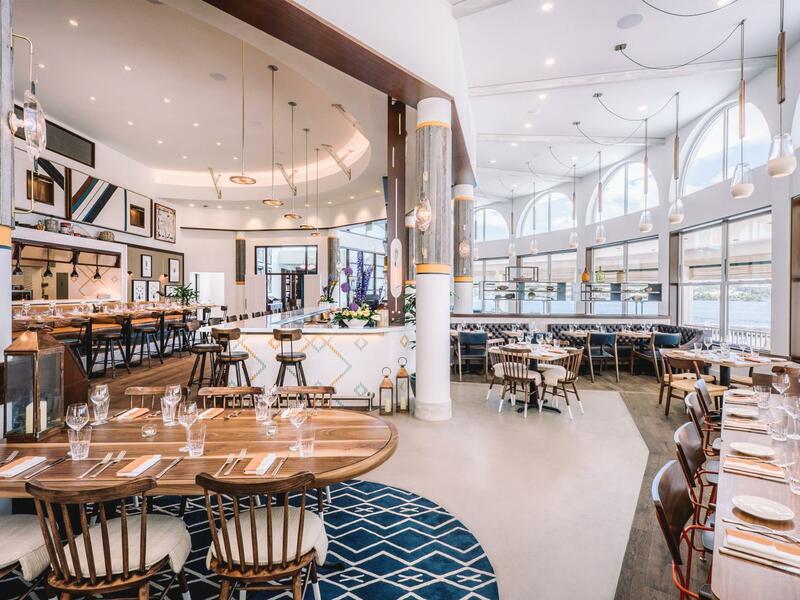 Dine on sushi, caviar, grilled oysters, and the catch of the day with the Great Sound and Hamilton Harbor as your backdrop. 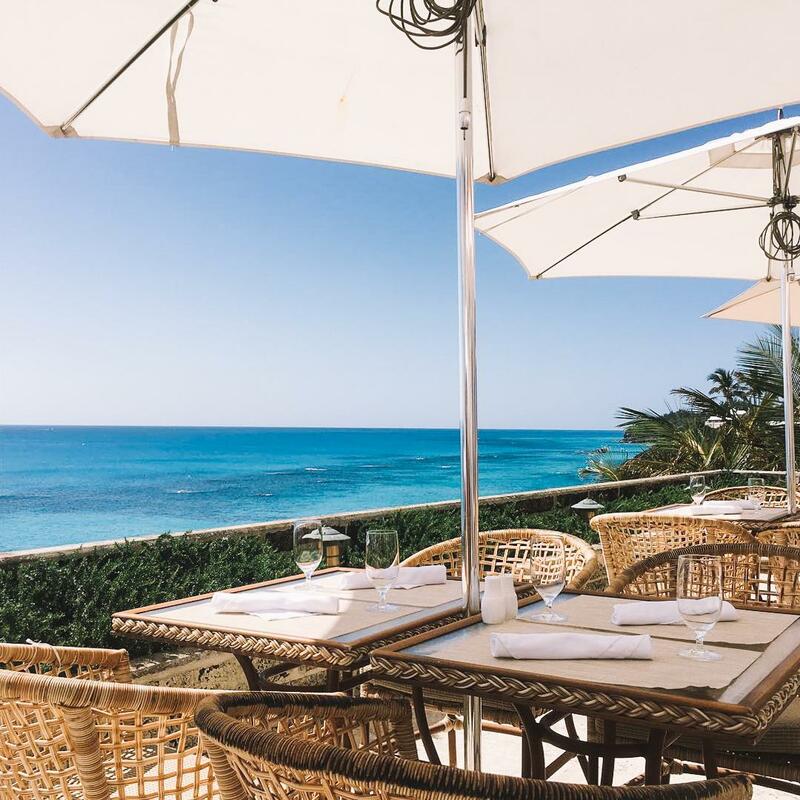 Set on the Belmont Hills golf course, Blû offers impeccable service, a menu that can appeal to absolutely any palette and a setting that stuns. 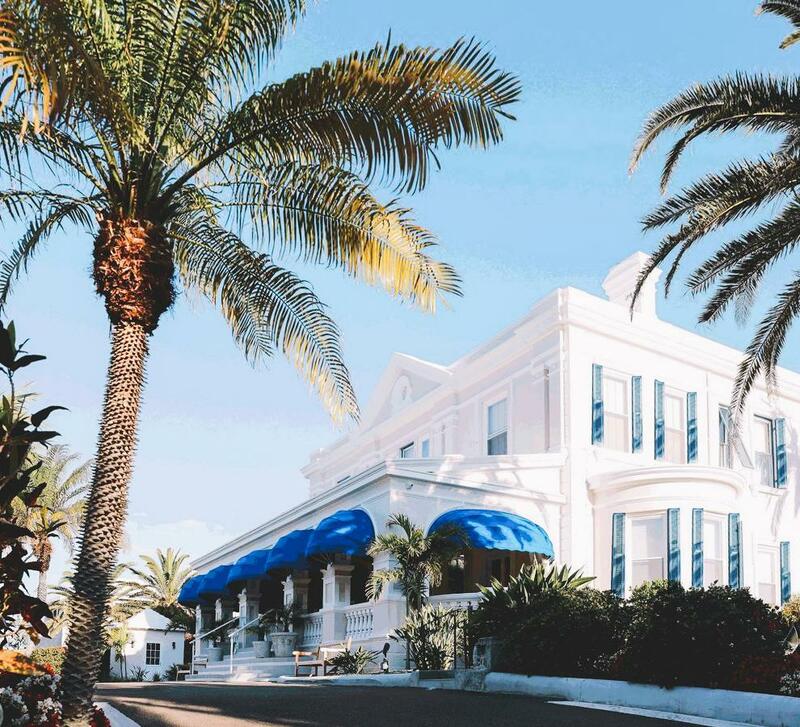 Stroll through the Rosedon Hotel’s beautiful tropical gardens and find your way inside this stately Bermudian manor to take your traditional afternoon tea. This weekend pick-me-up takes place on Saturday & Sunday from noon to 3pm and is sure to bring that second wind you’ll need to continue enjoying all the island’s glory. 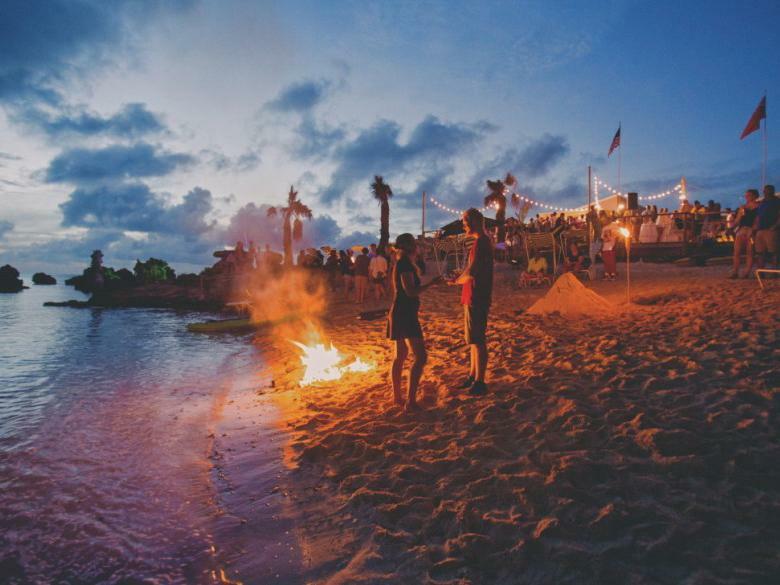 Juicy rum cocktails and fresh fruit daiquiris may be best enjoyed by the bonfire at Tobacco Bay Beach. After all, no Bermuda vacation is complete without the proper late-night bonfire with pumpin’ music and millions of stars overhead.